Property 8: Cozy Cabin Getaway. Fireplace, king bed, hot tub, Pet OK.
Property 15: LUXURY FRENCH COTTAGE SURROUNDED BY NATURE YET MINUTES TO EVERYTHING! Property 21: Charming garden cottage bursting with flowers. 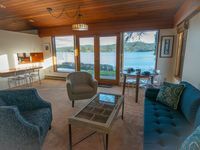 Property 24: Peaceful waterfront cottage, close to town! Property 32: Artisan cottage with lily pond, cabana, patio dining. Surrounded by Nature. Property 39: NEWLY LISTED! IN DOWNTOWN FRIDAY HARBOR! 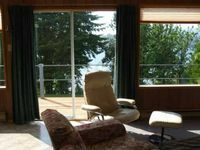 Property 48: Original Shawnigan Lake Cottage with GORGEOUS LAKE VIEWS!